Solana Duvet CoverSolana Duvet Cover, alt="Solana Duvet Cover, "
Print Simple yet stylish, this bedding is all about the details. 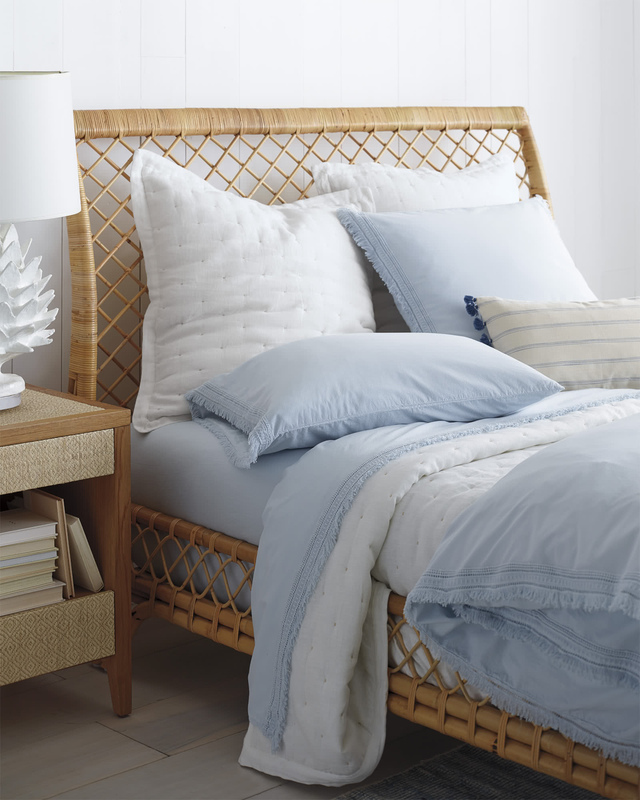 A special dyeing process creates an indulgently soft cotton that has all the crisp, cool features we love about percale. For the perfect dose of texture, we added an intricate trim, made exclusively in Portugal and finished with a fringe. Oeko-Tex certified so they’re free from harmful chemicals. Tightly woven for a crisp finish that’s cool to the touch. 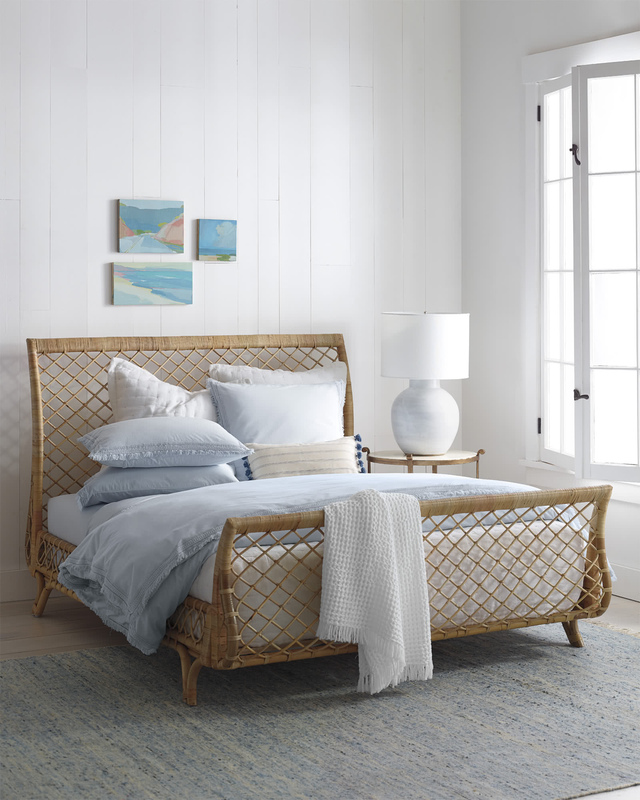 Light and breathable to keep you comfortably cool while you sleep. Available in our exclusive design. Inner corner ties keep the cover in place. Machine wash. Tumble dry low and pull straight out of dryer to avoid wrinkles. King/Cal King: 108” x 92”. 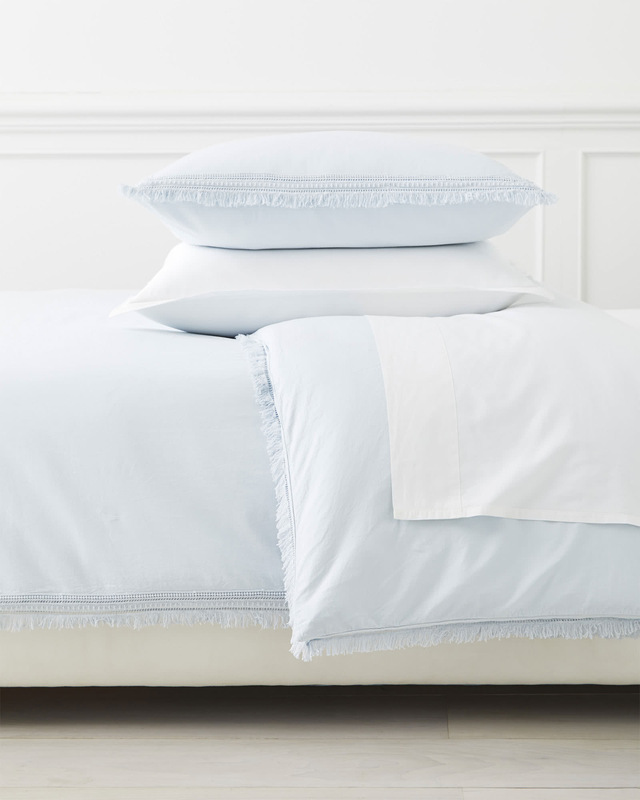 Loved for its crisp look and light, airy feel, all our percale sheets are woven with 100% cotton.